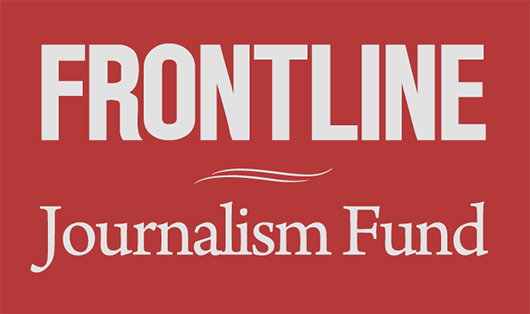 FRONTLINE today announced two new major grants to expand investigative reporting across platforms. Longtime WGBH supporters Jon and Jo Ann Hagler have made the single largest gift by an individual to FRONTLINE in its 30-year history: $5 million, with the majority going towards a new endowment for continuing journalism. In addition, the Ford Foundation is making a two-year, $800,000 grant towards a new cross-platform Enterprise Journalism Group within FRONTLINE that will deepen the series’ in-house investigative bench. FRONTLINE, which receives its majority funding from PBS as well as the Corporation for Public Broadcasting, has been the recipient of major foundation support from The John D. and Catherine T. MacArthur Foundation for many years, with an initial series grant of $5 million and an early grant of $1 million to pursue digital opportunities across WGBH. The Park Foundation is also a longstanding series funder, and FRONTLINE recently received funding from the Wyncote Foundation to support journalistic collaborations. Additionally, the series receives support from the FRONTLINE Journalism Fund, which helps fuel in-depth journalistic investigations through donor contributions.